Update: I’ve been informed that Mario is ALREADY knighted by Canada. There you go. 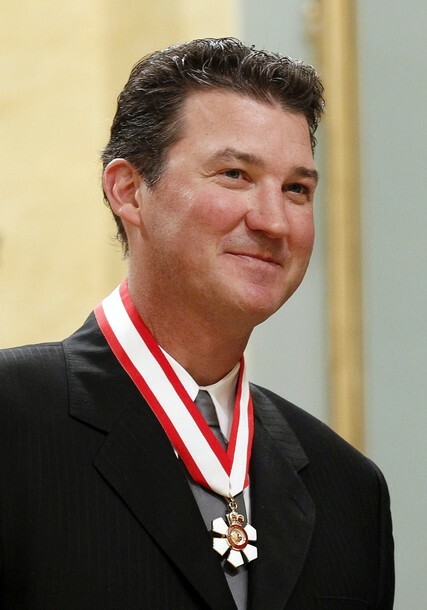 Here’s the first picture I’ve seen, but I’ve been under a bit of a rock lately, so maybe you’ve already seen one, of Mario receiving the Officer in the Order of Canada award last week. It’s the highest honor one can receive for lifetime achievement in Canada. So, in his honor, let’s just pretend Canada is a real country for today. Don’t write me hate mail, all you pretend people in Canada. What do they classify Mario as? Oh, is that ever church. 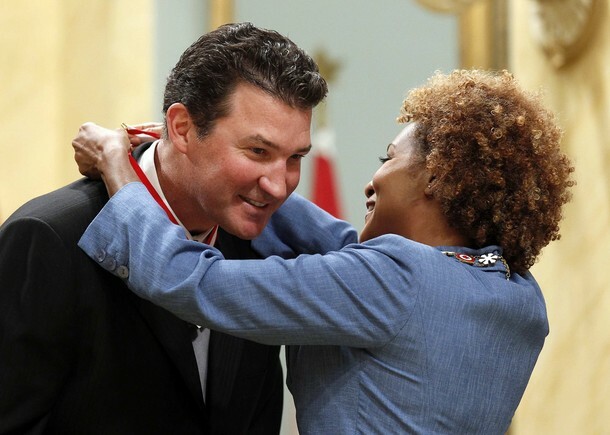 Didn’t know Wanda Sykes was Canadien! Oh, and actually, Sir Mario was already knighted. I’d take Sir Mario Lemieux over Sir Paul McCartney any day. That’s right. He was already knighted by the Order of Quebec last year. He’s been Sir Lemieux for awhile now. Can we get Mario to run for Mayor? Maybe she’s there to represent her .000000015 of Canada’s black population. Wanda Sykes??? That is none other then Her Excellency The Right Honourable Michaëlle Jean, the Governor General of Canada who is the Queen’s representative. She carries out most of the royal duties in Canada. She is very well loved here up north and is a Haitian born refugee. Has Mario had some ‘work’ done? Maybe it’s the way the light glistens off his tight, high cheek bones in these photos. Just throwing it out there. Elle- I was thinking the same thing. Are you suggesting that the right honourable Wanda Sykes is not equally revered here? great honor for mario and I love him more than a dogfish 90 minute. but, I’d say that, gretz is the bigger player legend overall…..
Start typing in “Alexander Ovechkin” and you get the tag “Washington Capitals player”. Yup, that’s right — Gretzky is a hockey player, but Ovechkin? Nope; whatever he’s doing there, and whatever they stand for as a team… it ain’t hockey…! @carpetbagger- quite the contrary. Wanda Sykes is probably as loved in Canada and the US as much as we love our Govenor General. I would actually like to see Wanda do a parody of Michaëlle Jean because it would probably be the funniest thing ever. Can we burn several dozen Qurans to celebrate?? Just checkin’ 1st Amendment rights- equality! Since it’s OK to burn US flag…..
Wanda Sykes needs to hookup with Rosie and STFU! Election Day CAN’T get here soon enough! !